Many theories in this 1000 words series describe multiple policymaking venues. They encourage us to give up on the idea of an all-knowing, all-powerful national central government. Instead, there are many venues in which to make authoritative choices, each contributing to what we call policy. The word ‘multi-centric’ (coined by Professor Tanya Heikkila, with me and Dr Matt Wood) does not suggest that every venue is of equal importance or power. Rather, it prompts us not to miss something important by focusing too narrowly on one single (alleged) centre of authority. To some extent, multi-centric policymaking results from choice. Many federal political systems have constitutions that divide power between executive, legislative, and judicial branches, or give some protection to subnational governments. Many others have become ‘quasi-federal’ more organically, by sharing responsibilities with supranational and subnational governments. In such cases, there is explicit choice to distribute power and share responsibility for making policy (albeit with some competition to assert power or shuffle-off responsibility). Bounded rationality. Policymakers are only able to pay attention to – and therefore understand and seek to control – a tiny proportion of their responsibilities. Complex policymaking environments. Policymakers operate in an environment over which they have limited understanding and even less control. It contains many policymakers and influencers spread across many venues, each with their own institutions, networks, ideas (and ways to frame policy), and responses to socio-economic context and events. Both factors combine to provide major limits to single central government control. Elected policymakers deal with bounded rationality by prioritising some issues and, necessarily, delegating responsibility for the rest. Delegation may be inside or outside of central government. Multi-level governance describes the sharing of power vertically, between many levels of government, and horizontally, between many governmental, quasi-non-governmental and non-governmental organisations. Many studies focus on the diffusion of power within specific areas like the European Union – highlighting choice – but the term ‘governance’ has a wider connection to the necessity of MLG. They often form enduring relationships built on factors such as trust. Such policymaking takes place away from a notional centre – or at least a small core executive – and with limited central attention. Polycentricity describes (a) ‘many decision centers’ with their own separate authority, (b) ‘operating under an overarching set of rules’, but with (c) a sense of ‘spontaneous order’ in which no single centre controls the rules or outcomes. 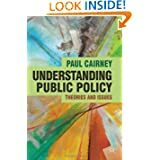 Polycentric governance describes ‘policymaking centres with overlapping authority; they often work together to make decisions, but may also engage in competition or conflict’. This work on polycentric governance comes primarily from the Institutional Analysis and Development (IAD) framework that helps compare the effectiveness of institutions designed to foster collective action. For example, Ostrom identifies the conditions under which non-governmental institutions can help manage ‘common pool resources’ effectively, while IAD-inspired studies of municipal governance examine how many ‘centres’ can cooperate as or more effectively than a single central government. They exhibit ‘emergence’. Local outcomes seem to defy central direction. Systems contain many actors interacting with many other actors. They follow and reproduce rules, which help explain long periods of regular behaviour. Or, many actors and rules collide when they interact, producing the potential for many bursts of instability. In each case, the system is too large and unpredictable to be subject to central control. Punctuated equilibrium theory suggests that (a) policymakers at the ‘centre’ of government could pay attention to, and influence, most issues, but (b) they can only focus on a small number and must ignore the rest. Very few issues reach the ‘macropolitical’ agenda. Multiple policymaking organisations process the rest out of the public spotlight. Multiple streams analysis turns the notion of a policy cycle on its head, and emphasises serendipity over control. Policy does not change until three things come together at the right ‘window of opportunity’: attention to a problem rises, a feasible solution exists, and policymakers have the motive and opportunity to act. Modern MSA studies show that such windows exist at multiple levels of government. The advocacy coalition framework describes the interaction between many policymakers and influencers. Coalitions contain actors from many levels and types of government, cooperating and competing within subsystems (see networks). 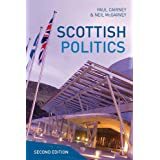 They are surrounded by a wider context – over which no single actor has direct control – that provides the impetus for ‘shocks’ to each coalition. 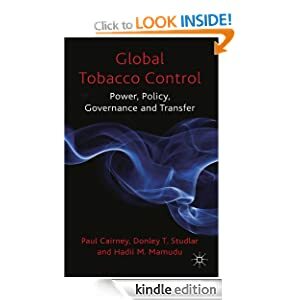 In such accounts, the emphasis is on high levels of complexity, the potential for instability, and the lack of central control over policymaking and policy outcomes. The policy process is not well described with reference to a small group of policymakers at the heart of government. Accountability. How do we hold elected policymakers to account if we no longer accept that there is a single government to elect and scrutinise? See MLG for one such discussion.